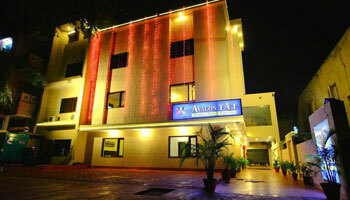 At Avalontaj hotel, we provide you supremely comfortable, vibrant and uniquely local experience. We set ourselves apart, by look for ways to delight our guests at every step. The Avalontaj Hotel presents its own dyamic personality and quality both as regards to services and facilities, with carefully thought out decoration, intended to please all tastes and making the guest feel comfortable. Avalontaj hotel establishments are equipped with the most advanced technology to facilitate communication, work and entertainment for its guests. Airport Transportation, Laundry Facilities, Parking, Breakfast Services, Security Guard, Travel Counter, Doctor on Call, Room Service, Currency Exchange, Backup Generator. Attached Bathroom, Wakeup Calls, H/C Water, Toothbrush/Razor on Request, House Keeping, Air Conditioning Room, DVD Player, Cable/Satellite TV, Iron/Ironing Board.